This badge was issued to SUSAN KELLY on 17 Mar 2018. 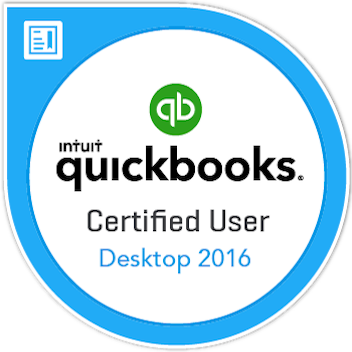 Earners of the QuickBooks Certified User certification demonstrate a proficient understanding of the Intuit QuickBooks desktop software and the ability to execute on bookkeeping activities like tracking expenses, issuing employee compensation, and managing invoices. Earners of this badge have the QuickBooks knowledge and skills required for a position in professional accountancy and positions the holder as a credible job candidate to employers.